I just finished Infinitesimal – a book that describes how a peculiar new idea was undermined by religion. Careers were ruined; people were imprisoned for promoting this idea that ran counter to prevailing religious notions. This time, I’m not talking about evolution. Nor the Earth’s position in the solar system. Nor the discovery of germs, the roundness of our planet, the existence of sub-atomic particles, nor the age of the universe – nor any of the many other discoveries that have left preachers and priests irritated and vengeful (until they eventually agreed with the science). For about two hundred years, it was math that was sinful. People who advocated calculus as a tool to investigate science could find themselves in considerable trouble with authority types. The book, Infinitesimal: How a Dangerous Mathematical Theory Shaped the Modern World, recounts (in considerable detail) the struggle between the Church and a group of mathematicians who found it useful to divide time, length, area, and volume into tiny pieces, then sum up all the pieces to solve various math problems. The volume of an irregular pyramid, the interest owed on a loan, and the circumference of a circle were early problems. When it became apparent that accuracy improved as slices became thinner and more numerous, mathematicians began to realize that exact answers might be found by summing up an infinite number of infinitely small pieces. That’s the heart of calculus and modern science requires this approach. But the thought of anything being infinitely small and infinitely numerous was anathema to the bosses at the Vatican in the year 1600. It was contrary to spiritually derived knowledge – and contrary to the prevailing interpretation of Aristotle’s science. Such math was blasphemous. Books were banned and the idea of infinities was rooted out. A number of clever priests saw the value of calculus (as did scientists such as Galileo) but others (especially the Jesuits) saw heresy in calculus. God is infinite; oxcart wheels, beer steins, and cumulative interest are not. 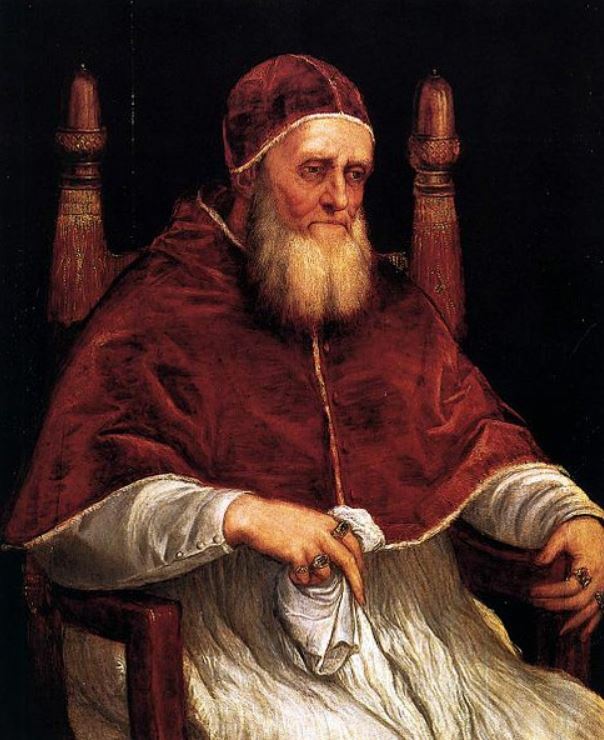 Pope Paul III – grantor of the Jesuits’ charter, 1540. Ignatius, founder of the Society of Jesus told the pontiff it would be “The pope’s own army,” an enforcer of papal decrees. 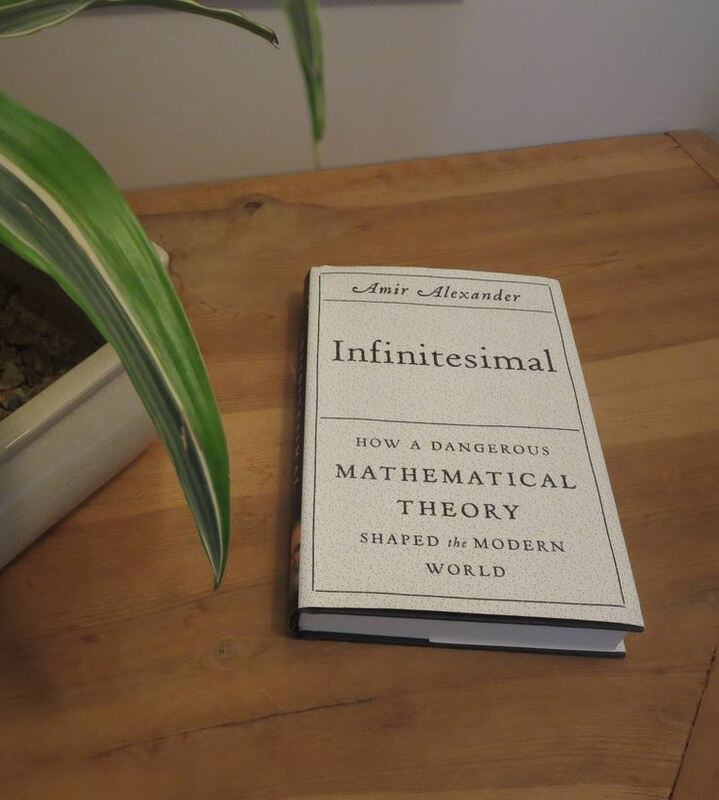 Infinitesimal is an interesting book because of the era described and because of the tenuous situation mathematicians faced three or four hundred years ago. Unfortunately, I found Amir Alexander‘s telling of the story a bit tedious with much material revisited too frequently. I was paying attention and didn’t need to be reminded of what I had just read. For example, some players were introduced two or three times, as if each occasion was their first appearance in the book. Infinitesimal needed a good edit before hitting typeset. Worse, parts of the book are simply dry, making for tough chewing. Nevertheless, it is a fine historical documentation with convincing research and analysis. Until reading Infinitesimal, I was completely unaware of this particular Church vs Science battle. The author makes a strong case that religious opposition caused Italy to fall far behind northern Europe in math and science, dropping from first-place to something rather dismal, a condition from which Italy never recovered scientifically. The Church dictated what could be taught in schools under Rome’s influence. Calculus, for 200 years, was not part of the curriculum. Inevitably, it seems, churches eventually do catch up with science. But sometimes it takes centuries. This entry was posted in Book Review, Culture, History, Religion and tagged calculus, Galileo, infinitesimal, infinity, Jesuits. Bookmark the permalink. Interesting, and a further reminder that the Galileo thing was about power rather than dogma, although I think the term “calculus” didn’t come into use until after Galileo. Paul, you are correct – it was power politics, and the term calculus was not used, though its function was employed. The author of the book Infinitesimal uses the word ‘calculus’ sparingly and instead takes us for a journey through mathematical thin slicing. I was quite intrigued that science was such a political football, even way back then, that there was an ugly battle against the way math was used to understand science. Such spillover effects can also have strange ideological connotations. The religious right in the US campaigns for phonics rather than word recognition in teaching reading, since phonics relies on rigid rule application, while whole word recognition makes right and wrong dangerously dependent on context. better technology, and discover new improvements https://math-problem-solver.com/ . would be severely impoverished with out the help of mathematics.